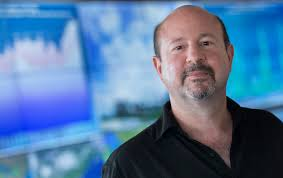 Dave is joined by longtime friend of Blue Dot, TV meteorologist Rob Elvington as they talk to one of the world's leading climate scientists, Michael Mann. Dr. Mann is the Distinguished Professor of Atmospheric Science at Penn State and the author of the paper that included the famous "hockey stick" graph made famous by former Vice President Al Gore in his film, An Inconvenient Truth in 2005. Mann was the victim of an email hacking scheme reminiscent of the one that plagued Hillary Clinton in 2016. Dave and Rob talk to Mann about "Climategate" and the science behind the papers and emails that led to it along with his take on the current political climate in the United States under the Trump administration. The recent global strikes by school students protesting the pace of political response to the climate crisis and Mann's work to counter climate change denial make for a wide ranging and important discussion as the worlds or science and governance collide.